On the eve of the World Refugee Day on June 20, I fulfilled my yearly calendar of visiting the Anglican Church of Uganda refugee camp parish at Nakivale in Insingiro District. The parish has a priest who is a refugee and he has served in the position for 17 years. The parishioners are mainly Rwandans, Burundians, Congolese and apparently Ugandans who live at the edge of the camp or in some cases sandwiched between refugees. The camp hosts other refugees from Eritrea, Ethiopia, Somalia, South Sudan and few Kenyans. The vibrant refugee worshipping community peacefully co-exists with the indigenous worshipping Ugandan community. 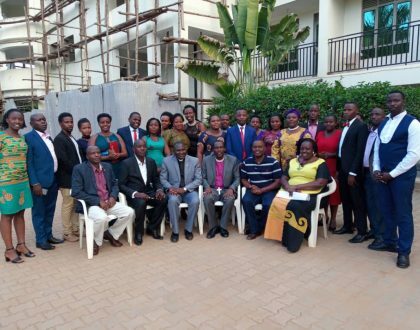 The rather mixed congregation uses mainly Runyankore and Kinyarwanda plus a little Kiswahili. 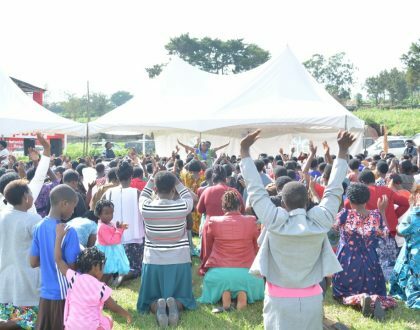 Although some of the refugees come across as underprivileged, majority portray self confidence and do not have marked differences from any Christians in the rural parishes in Ankole Diocese. On occasions, there are some rural parishes that I visit and I find more underprivileged Christians than the Nakivale congregation! The refugees at Nakivale are in the main well catered for since they are allocated some plots of land to cultivate and some few even own some cattle, which graze alongside those of the citizens. 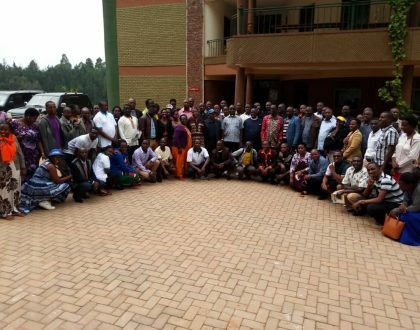 Because of the benevolent Uganda’s refugee policy that resulted in the recent hosting of a two-day Refugee Solidarity Summit in Uganda, some refugees are engaged in business within and outside the camp. There are a few who even drive some good cars and generally in terms of church giving, especially through fundraisings, some of the refugees out-compete locals. One of the most exciting leisure activities of the refugees is singing and the church congregation has 24 different choirs! From 8pm to about 11pm, I was able to listen to the melodious voices, watch the cultural dance strokes and appreciate the key messages of the choristers. The Rwandan refugees turned out to be the most organised and with their graceful and endearing music, they carried the night. The children of between 3 to 8 years old choir called Ubugyingo butsya (New life) was followed by that of 8 to 14 years choir called Eneguuza (youthful), among others. One of the most vivid memories of the energy, gusto and zeal of the Rwandan refugee choristers was a pregnant woman and another who had a cannula on her arm (suggesting she was straight from a clinic), but here she was singing and dancing away the night. The moments of sadness though come in different shapes and sizes. The recent drought and famine that hit Bukanga County in Isingiro District, where Nakivale Refugee Camp is based, has had its toll on the gardens of the refugees and the locals. Mindful of world events too and local situation, the World Food Programme recently reduced the food rations that are given to refugees and this was one of their outcries in a speech read by the parish priest. Many of the refugees rightly long for a return to their mother countries, but interestingly, everyday new refugees come from their mother countries and you wonder what the future holds for them. Around this time last year, at a time when I visited, a kind of directive had been sent to the refugee community from two neighbouring countries that they were to go back to their countries and, alas! it was like a funeral service! Thank God this decision or directive was rescinded after a lot of prayers and there was joy among the parishioners. The locals on their part also have their own cares. Whilst a few of them may be making a big kill through transacting business in the refugee camp, the majority are the wretched of the earth, who find themselves perched on the fringes of the refugee settlement camp and dread the day they will be asked to vacate since for some, they have been born and bred there. Some locals were duped into buying land in the refugee settlement and find it hard to let go of their hard-earned life’s meager savings to search for new found-land. It is a mixed bag of joys and sorrows and the choristers tell it all since their songs have themes of hope while some evoke emotions of temporary suffering and pain. Other songs express it all when they praise Ugandans and President Yoweri Museveni for hosting them and caring for them. Whenever I watch and listen to the refugees’ songs, stories and share food with them, I can’t help it but pray that the Lord Almighty will keep Uganda peaceful so that I will never be a refugee. I pray and hope that as a citizen, I will play my part in ensuring a peaceful country. 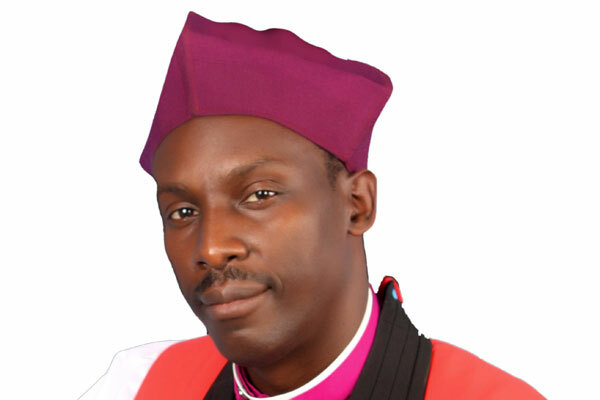 Rt Rev Dr Fred Sheldon Mwesigwa is the Bishop of Ankole Diocese.